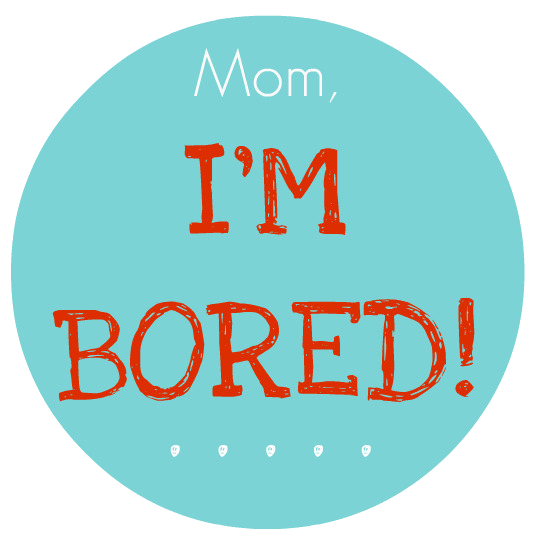 Undoubtedly, you're bound to hear that phrase "I'm bored!" at least once this summer…but the best thing you can do is be prepared for those moments, in particular be pared with fun engaging activities, that won't cost you a thing! 1. Boredom Jar: Sit down with your family and brainstorm a list of activities that can be done alone or that you can enjoy doing together. 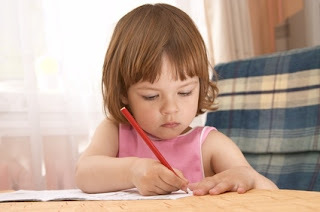 Encourage your children to share their own ideas and help you decorate and label a simple jar as the family “Boredom Buster Jar.” Next, write everyone’s ideas down on slips of paper and as a group decide which ones should go in the jar…next time someone's bored just have them go to the jar! 2. Art Treasure Chest: You’ll need to gather basic art supplies–child safe scissors, glue, markers, tape, and construction paper. Put them in a special box along with empty oatmeal boxes and paper towel rolls, colorful magazines, and bits of aluminum foil. Occasionally add a special surprise like chalk, stickers, or stamp pads so there’s always something new for the children to find. They’ll probably have some good ideas of other household items that can be recycled to fuel their creative energies. 3. Family Performances: Break out old clothes or costumes and encourage children to make up characters and create a play to act out. Let them really get into it, they're the directors, actors, and producers. They can also make the music to go with the performance themselves too with their "instruments" (pots/pans, wooden spoons, empty canisters). 4. Camping Out: Campout in the backyard. Bring some snacks, board games or let the kids do the planning. Bring a sleep bag and stay the night! 5. Scavenger Hunt: Who doesn't love a good scavenger hunt...make a list or picture cards of common household items and have your children find the items on the list. You can make the items hard or easy depending on the age level, invite friends or neighbors to join in the fun to make it a competition. 6. Cookbook Fun: Spend a day in the kitchen with your kids, have you ever shared your favorite cookbook with your children? Take it out and ask your children to choose a recipe to try. Measuring can be a fun and easy way to keep math skills fresh, and a safe activity that will include them in the cooking fun. 7. Summer Scrapbook: All you need for this project is a spiral notebook. Encourage everyone in the family to draw pictures of favorite activities and collect mementos from special events throughout the summer. Children love to go back through scrapbooks and albums and tell about what happened at each occasion. They will also be building their storytelling skills at the same time. 8. Fort Building: Children love to build all kinds of structures--from small towns to large towers. Constructing forts or tents is an activity that can keep children focused and problem solving for hours. All the items you need can be found around the house–some chairs, cushions, blankets… and of course adult supervision. Submitted by Emily Patterson on behalf of Primrose Schools: For over 25 years, they have helped individuals achieve higher levels of success by providing them with an AdvancED® accredited, early child care services and education. Through an accelerated Balanced Learning® curriculum, Primrose Schools students are exposed to a widely diverse range of subject matter giving them a much greater opportunity to develop mentally, physically and socially. Emily has written a number of articles on topics varying from bilingual learning to teaching the importance of volunteering. Thanks for sharing. Lots of good ideas! Visiting back from the Lower Your Alexa hop. Awesome ideas. I have a fun expensive gadget over at my store on etsy a "Boredom Block" you can check it out at this link...perfect for the summer "I'm BORED!" This is amazing! I'm a SAHM of two girls, ages 3 & 4, so I swear I hear those words a hundred times a day! Great ideas!! Stumbled your post from Stumble Thursday. These are some wonderful suggestions! Thanks for sharing! Great ideas, especially the art treasure chest! Btw, thanks for hopping by my blog! I stumbled back.